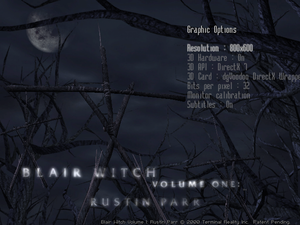 Even though it is called Blair Witch this game is also a sequel to Nocturne, set a year before the events in Epilogue. 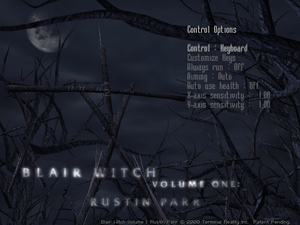 Nocturne Editor is available for download here. This game uses a newer version of the engine, so not all features work. Can be used to force higher resolutions, anti-aliasing and anisotropic filtering. Bilinear blit stretch makes the pre-rendered backgrounds less pixelated on higher resolutions. Download the latest version of dgVoodoo 2 and unpack it (verified working on version 2.54). Copy all the files from the MS folder to the game installation folder. Run dgVoodooCpl.exe and configure the settings to you liking. Game uses DirectX in hardware mode, so the above mentioned improvements should be activated in the DirectX tab. Run dgVoodooCpl.exe and in DirectX tab select your desired resolution. 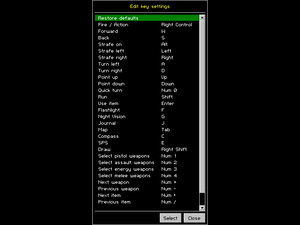 In the game graphic options menu select a resolution that is lower than the one set in dgVoodoo 2. The lower the resolution selected in game, the bigger the HUD and subtitles will be rendered on screen. Don't select a resolution lower than 640x480, because that will reduce the quality of the pre-rendered backgrounds. 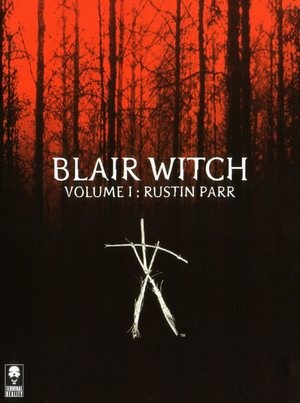 Blair Witch Volume 1 Rustin Parr - LOD modification disables LOD switching and makes the game use the highest quality 3D models for all the characters and enemies all the time. In software mode resolutions up to 640x480 are available, in hardware mode up to 1280x960. Menus remain 640x480. See dgVoodoo 2 for higher resolutions. In widescreen resolutions the game is stretched. Use dgVoodoo 2. In DirectX tab under Behavior disable Application controlled windows/fullscreen state and Disable Alt-Enter to toggle screen state, then in game press Alt+↵ Enter. Use dgVoodoo 2 to force MSAA. Enabled by default in hardware mode, but only during gameplay. Force using dgVoodoo 2 to enable it in the menus too. Framerate is uncapped only in software mode, but causes clothes physics to speed up. Only some secondary menus accept mouse input. 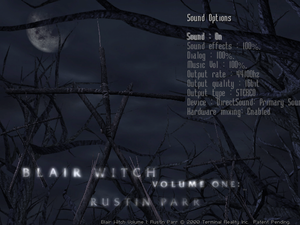 Sound effects, dialogue and music. When launching the game two warning messages are displayed about 0.0MB of system RAM and 0.0MB of free swap disk space. These can be ignored or the game can be run in Windows 98 compatibility mode to avoid these messages from appearing. Right click the game shortcut or nocturne.exe. Click Properties, then open the Compatibility tab. Under Compatibility mode check Run this program in compatibility mode for and select Windows 98/Windows ME. This will disable any enhancements set in dgVoodoo 2. ↑ Information taken from the game manual. This page was last edited on 6 November 2018, at 23:12.